When I think of the over-achieving mom who will do anything for their children - including lasso the moon, because I am sure she has found a way to do it - I think of the mom behind Blossom Bunkhouse. I choose to recommend this blog over other "Mommy Blogs" for one reason: the blog is obsessed with The Elf on the Shelf. Anyone who can think of 101 Elf On The Shelf Ideas AND put their money where their mouth is by actually following through with those ideas in a recurring Elf On The Shelf Series that creates a huge mess with a ton of clean-up deserves a recommendation. My big Elf on the Shelf idea is to drag him under the bed and hide him with the rest of my collection of purloined items (and then blame it on the dog); Blossom Bunkhouse suggests #35: Sit [the elf] in shoe, holding shoe laces as if going on a sleigh ride. I suggest you make certain your cat has not barfed in said shoe first. Blossom Bunkhouse tends to go overboard on creativity, but it is not always a bad thing. For example, it offers practical ideas like the "Never Miss A Dose Again" article which suggests you write a dosing schedule on the bottle of medication your child is taking, and check off when you give it to them. The blog even offers a picture showing how to do this, and it looks pretty simple! Pure genius! (I am a bit bothered by the fact that the author picked up this idea off of Pinterest, because her copyright policy requests that you do not Pinterest her stuff. It seems a little hypocritical to me). A recent cool idea suggested - and the one that tipped my paw towards recommending this blog, in spite of the hypocritical Pinterest policy - is the Hockey Pucks on a Stick idea, perfect for a child's birthday party or a Stanley Cup Finals party (if you have not planned one by now, you had better get started!). The treats are basically Hostess Ding Dongs on a stick with a few creative touches added to complete the look. 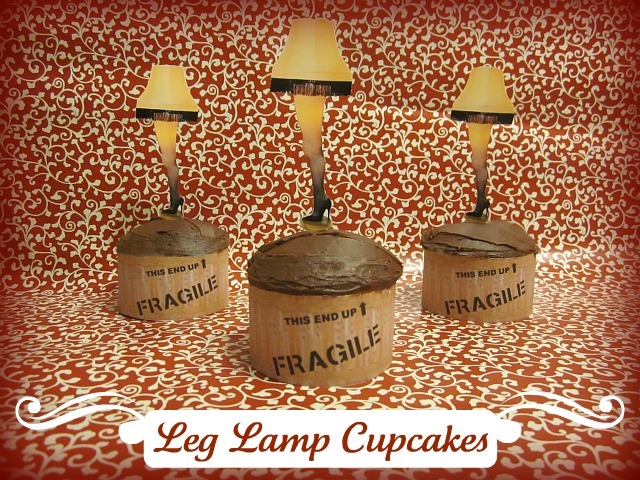 Blossom Bunkhouse is full of ideas for all levels of talent; however, some ideas require advance planning and special order of accessories - I offer as an example, Leg Lamp Cupcakes, an idea I have seen all over the Internet but never dreamed anyone would actually make. Kudos, Blossom Bunkhouse, for going the extra mile! If you are long on time but short on talent (Mom's everywhere are laughing at the "long on time" comment!) and you are the type of parent to let your child host a slumber party (more laughter), you could try your hand at creating Rice Krispie Treat Sleeping Bags (chocolate covering optional, and not for the talent-impaired). If you are feeling extra creative, you can shove your Elf on the Shelf into one of them. There - Idea # 102, courtesy of Ask Tazi! America's FAVORITE Advice Giving Cat! In addition to creative projects, recipes, and household tips, Blossom Bunkhouse also does the occasional product review. I could not find one for a Snuggie (I like to crawl inside the sleeves), but I did find one for a similar, less embarrassing wrap-around warmer: The Wrap Trap. The author of Blossom Bunkhouse even posts a video of herself wearing a Wrap Trap, and I can tell you...it looks a lot better than the video I have posted below (because her video is copyrighted, and I did not feel like contacting her to ask permission to use it, I am posting this Snuggie spoof instead). The one downside to Blossom Bunkhouse is that the author only posts 3 - 5 blogs a month, so if you are the type who hopes for/expects new content every week, you will be sorely disappointed. I am pretty sure the lack of regular content is because the author is busy actually doing all of the projects posted on the site. As for me, I will not be busy taking a nap for the next several hours. If you find your that you Snuggie has gone missing, I suggest you ask your Elf on the Shelf. I am pretty sure he's the one who took it.